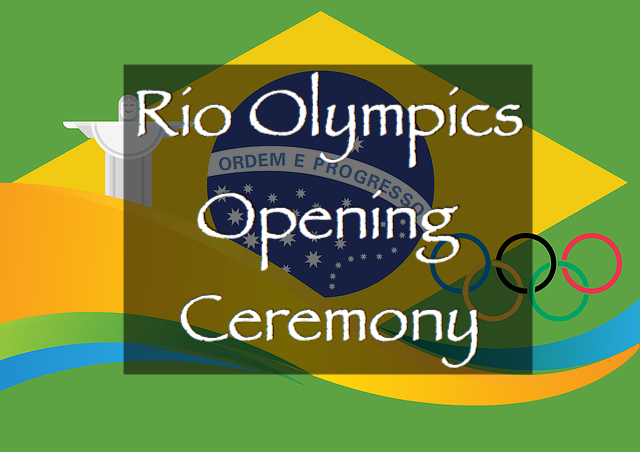 The opening ceremony of the 2016 Rio Olympics is tonight. I still get excited thinking back on historic Olympic moments and look forward to another great games this year. For me, the Olympics represents an opportunity to put aside geo-political differences. It’s the chance for countries to unify behind a common goal and engage in healthy competition with other countries. It’s where athletes get recognized and rewarded for years of hard work, discipline, and sacrifice. It’s a chance to make history. So, despite controversies surrounding the Zika virus, the always present performance-enhancing drug issues, and security concerns, I’ll be watching and cheering on the athletes. As a swimming family, we will of course be tuned into those events. And golf is back in the Olympics for the first time since 1904. It is interesting that this coincides with the timing of Nike’s recent announcement that they’re exiting the golf equipment business. With Nike’s leading spokesperson Tiger Woods having been mostly sidelined for the past few years, the popularity of golf has dropped. Nike’s decision shouldn’t be a surprise. But while swimming, track and field, gymnastics, and basketball will receive the bulk of the media attention, I’ve also decided to follow a few of the lesser-known sports, specifically fencing. There are a few interesting stories in US fencing at this Olympic games. There are three disciplines in fencing – foil, epee, and saber, and the US has never won an Olympic gold medal in any of the fencing disciplines. But this year, that may change. The three top male athletes have all recently ranked either number one or number two in the world including curent number one, Alexander Massialas. Also, for the women, Ibtihaj Muhammad will be the first American Muslim athlete to participate in the Olympics wearing a hijab, a traditional Islamic modesty veil. Readers, do you follow any of the lesser-known Olympic sports? I’m looking forward to the games too! My wife used to swim and loves watching that. But the lesser followed sport I’m looking forward to is wrestling. Dan Dennis is our wrestler at 57 kg freestyle and he has a very interesting backstory. He left wrestling completely and traveled around the country living out of his van for years. Wrestling slowly crept back into his life and now he’s representing his nation in the Olympics! I wish him the best. Great back story on Dan Dennis. It’s inspiring what these athletes go through and sacrifice to get there. I think for me it’s the women’s beach volleyball. For some reason this has always been a must-watch. Maybe it’s their amazing athleticism that grabs my attention. Good luck to all of the athletes but especially New Zealand and my adopted home, Australia. If you’ve ever tried to play beach volleyball, you have to appreciate how challenging it is. I’m also looking forward to swimming showdowns between the US and Australia. They’re usually pretty competitive with each other in the water. We watched the ceremony last night. Great moments. The cameras caught an athlete from Bolivia who was in tears of emotion as he walked into the stadium. And the flag-bearer from Iran in a wheel chair. Another amazing story. She was in a prior Olympics and later lost the use of her legs. She participated in the last Para Olympics in archery and qualified for the games this year. Our claim to fame is one of the swimmers from our club qualified for Olympic Trials. He didn’t earn a spot, but it’s still funny to see him swimming at a local meet with my kids one day and at Trials the next. Swimming is a small world. I’m disappointed that Federer won’t be playing in the Olympics this year 🙁 with that said, I think this will be the first year in which I’ll watch the Olympics with my coworkers without just watching tennis (which will forever be my sport). Let the games begin! I have watched quite a bit of the games this year. More than in prior years. It’s been entertaining and I’m a little sad to see it end. Hopefully you’re too busy with fun and/or productive activities.